Drones are increasingly flying in sensitive airspace where their presence may cause harm, such as near airports, forest fires, large crowded events, secure buildings, and even jails. 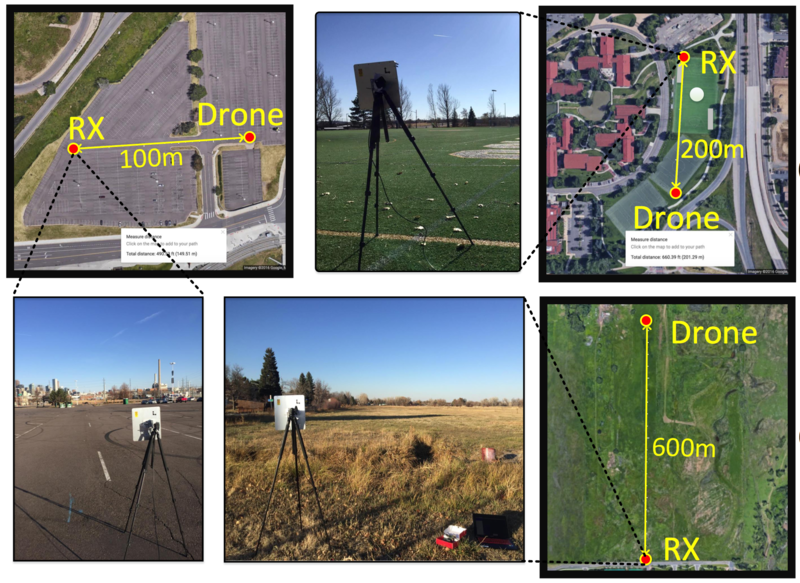 This problem is likely to expand given the rapid proliferation of drones for commerce, monitoring, recreation, and other applications. 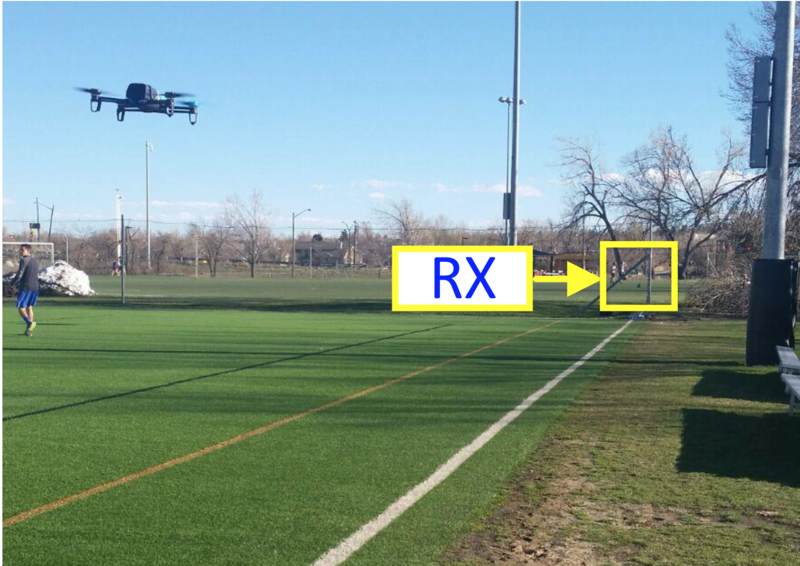 A cost-effective detection system is needed to warn of the presence of drones in such cases. 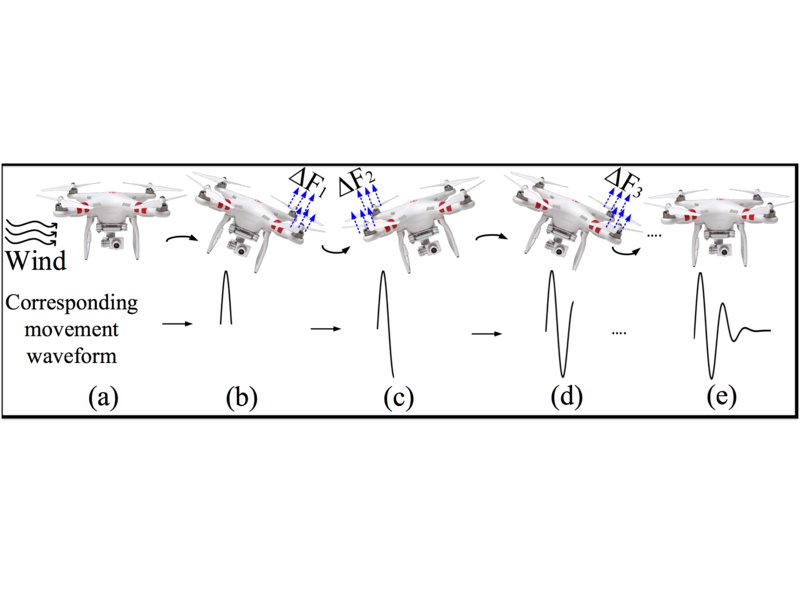 In this project, we explore the feasibility of inexpensive RF-based detection of the presence of drones. 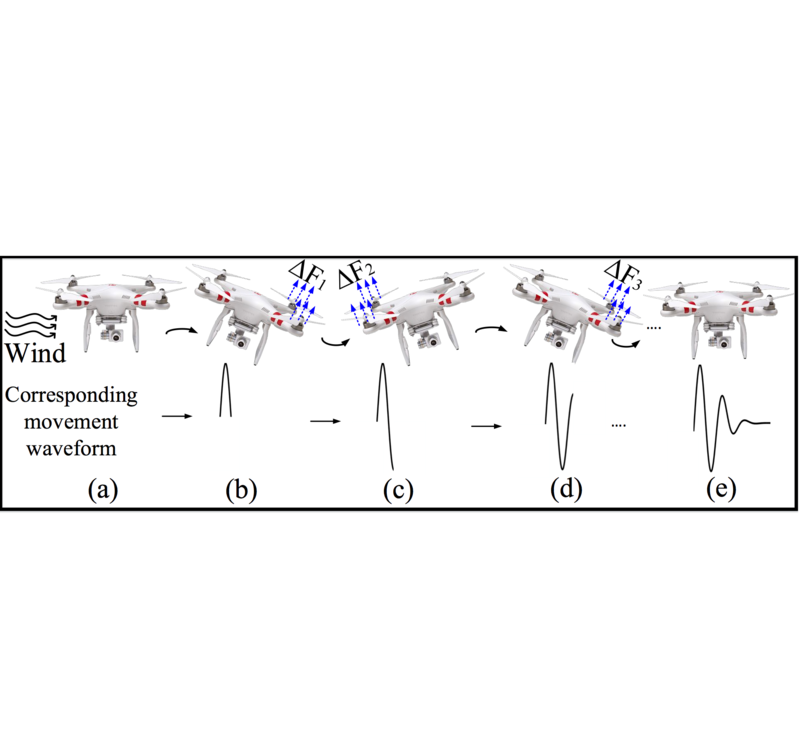 We examine whether physical characteristics of the drone, such as body vibration and body shifting, can be detected in the wireless signal transmitted by drones during communication. 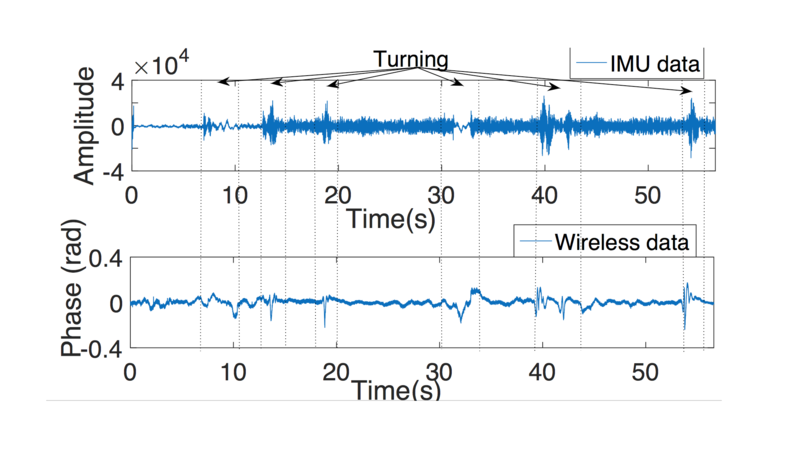 We consider whether the received drone signals are uniquely differentiated from other mobile wireless phenomena such as cars equipped with Wi-Fi or humans carrying a mobile phone. 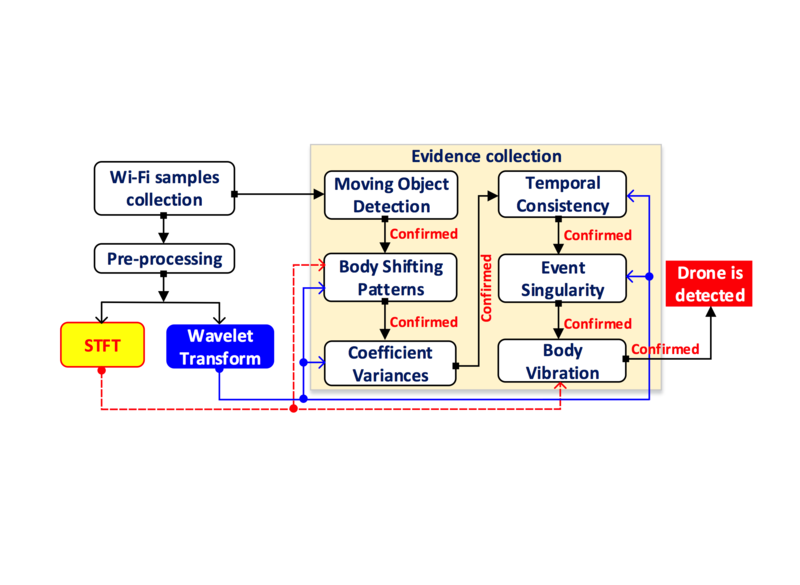 The sensitivity of detection at distances of hundreds of meters as well as the accuracy of the overall detection system are evaluated using software defined radio (SDR) implementation. 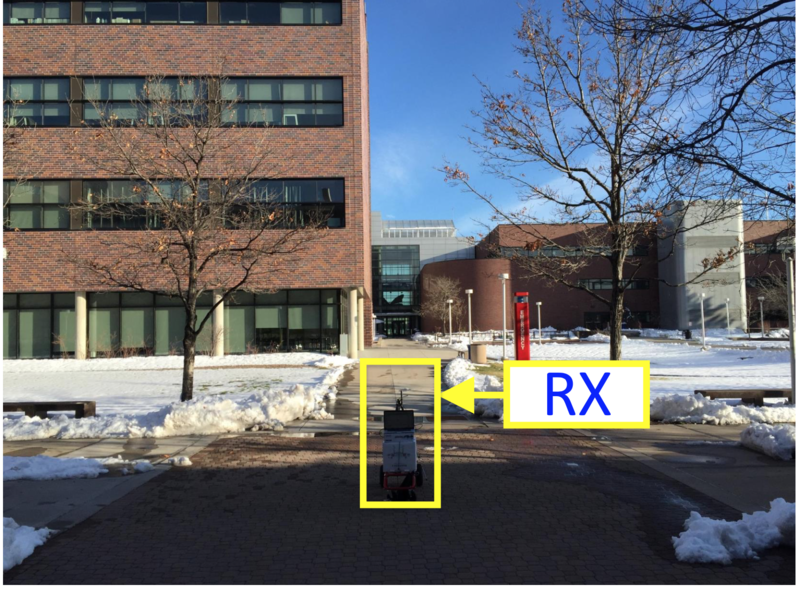 02/2018: DronePD is funded by Department of Homeland Security (Prof. Tam Vu is the Lead PI). 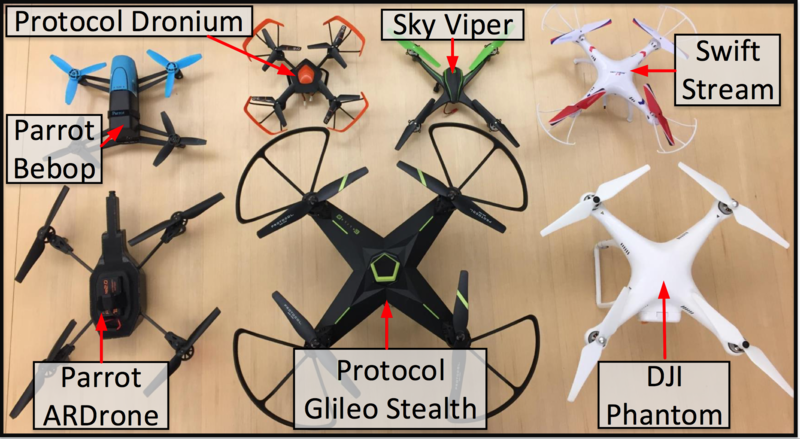 10/2017: Drone Detection paper (Matthan) is selected as SIGMOBILE Research Highlights. 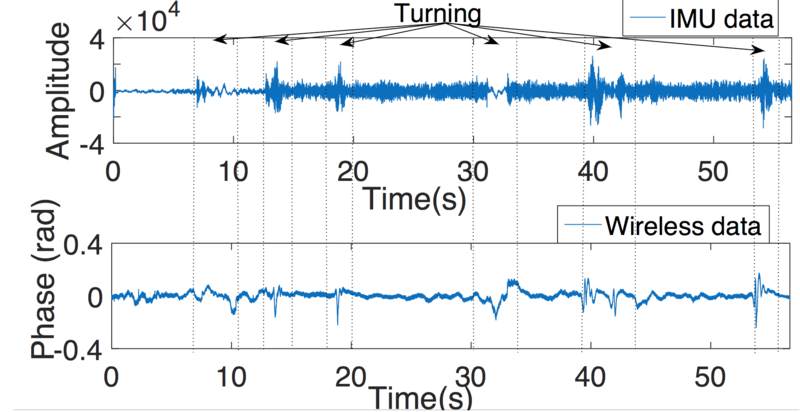 02/2017: Drone Detection paper is accepted to ACM MobiSys 2017. 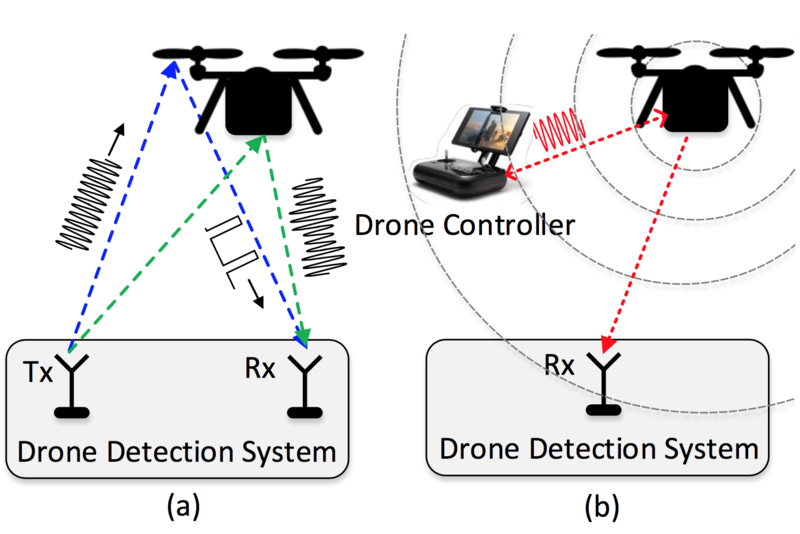 02/2016: Drone Detection paper is accepted to ACM MobiSys - Dronet 2016. ACM MobiSys - DroNet 2016 - The ACM International Conference on Mobile Systems, Applications and Services. The Workshop on Micro Aerial Vehicle Networks, Systems, and Applications for Civilian Use, Singapore, June 2016.